Scientists of the Swiss Ecole Polytechnique Federale de Lausanne (EPFL) and IBM are participating in project Steeper to search for the holy grail of electronics: a computer that utilizes zero energy when in sleep-mode. By making use of a phenomenon called quantum tunneling they hope to significantly reduce the energy consumption of transistors. Transistors are the basic building blocks of information and communication technology devices. These small switches can turn off and on, generating 0 and 1 values respectively, producing the binary instructions that control computers. Today, most switches are field-effect transistors (FETs). They rely on an electric field to manipulate conductivity. By applying voltage a gate terminal widens a conductive channel through which electrons can flow, activating the transistor. When voltage is below a certain threshold the channel narrows, blocking the flow of electrons and switching the transistor off. However, the gate can’t be closed completely, so even in off-mode, energy leaks away constantly. Which is why computers consume power in sleep-mode. 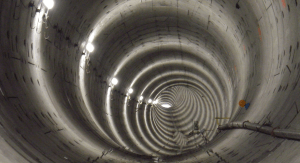 To stop the energy drain, scientists involved in the Steeper project are researching an alternative technology called tunnel-FET (TFET). This transistor consists of two chambers separated by an energy barrier. When the transistor is in off-mode, electrons are amassed in the first chamber. When voltage is applied the electrons cross the energy barrier and move into the second chamber, switching the transistor on. Because the gate of a TFET is closed more tightly the energy loss when the transistor is deactivated is negligible. But TFET technology also reduces the amount of voltage needed to operate the gate. This is due to a quantum mechanical phenomenon called quantum tunneling. Meaning that a particle tunnels through a barrier that it in classical mechanics could not surmount. The concept is explained by a ball rolling uphill. In classical mechanics, a ball rolling uphill that does not have enough energy to roll over the top, can not reach the other side. In quantum mechanics there is a small probability that the particle will tunnel through the barrier. TFET technology takes advantage of this phenomenon by reducing the width of the barrier and thus amplifying the tunnel effect. This way, the voltage needed to send the electrons through the barrier is drastically reduced from 1 volt for conventional FETS to 0.2 volts for TFETS. Prof. Adrian Ionescu of the EPFL Nanolab and coordinator of project Steeper says that "the current prototypes by IBM and the CEA-Leti have been developed in a pre-industrial setting. We can reasonably expect to see mass production by around 2017." Article: Tunnel Field-effect Transistors as Energy-efficient Electronic Switches (behind a pay-wall), published in Nature. Written by Prof. Adrian Ionescu and Dr. Heike Riel, who leads the nanoscale electronics group at IBM Research – Zurich. Nature 479, 329–337 (17 November 2011). The Steeper project, coordinated by Ecole Polytechnique Federale de Lausanne, includes leading corporate research organizations IBM Research - Zurich, Infineon and GLOBALFOUNDRIES, large research institutes CEA-LETI and Forschungszentrum Julich, academic partners, University of Bologna, University of Dortmund, University of Udine and the University of Pisa and the managerial support of SCIPROM. With the support of the European Commission's 7th Framework Program (FP7).